When most distributors hear that they’re going to be responsible for inventory management, they immediately assume that it’s a going to be an unpleasant experience. 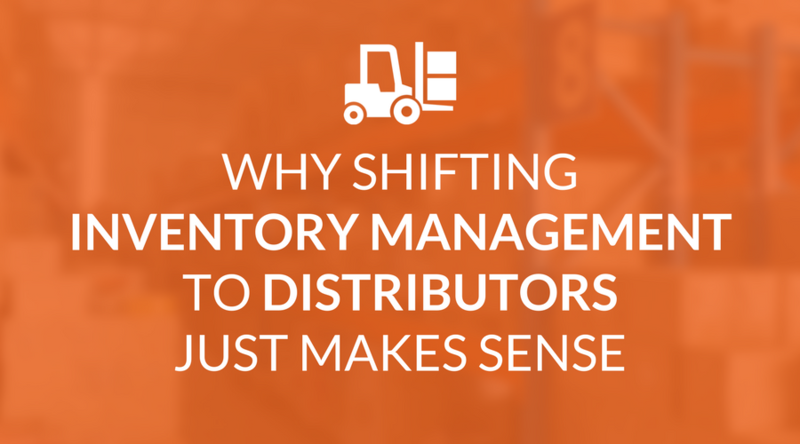 Who wants to deal with the inevitable issues that arise with managing inventory? In truth, many of these potential problems are resolved when distributors work with retailers to create a well-run distributor-managed inventory system. With a more unified partnership, everyone at every stage of the supply chain benefits in the long run. Here are some of the benefits of a distributor managed inventory, for both distributors as well as manufacturers. When distributors are in control of the inventory, it’s much easier to determine how much product is needed to manufacture or order. Consider how traditional inventory management has worked in the past. There was a limited amount of information about how much inventory retailers need. It was easy to either over or under stock, which leads to inconsistent revenue and operating costs. This could have a negative impact on customer relationships, which could lead to them using another supplier in the future. A cohesive distributor managed inventory, where the distributor and retailer are working closely together, leads to more reliable information about their stock. It’s easier to manage when the distributor can predict the ebb and flow, to prevent persistent issues such as overordering. The inventory risk is also distributed more evenly between distributor and retailer, rather than leaving one party to deal with a huge overage. Fulfilling orders can be a huge liability for distributors. As one of the biggest issues in the traditional supply chain relationship, even the smallest error can result in lost business. There are frustrations on both sides. When a retailer can’t depend on the distributor to have the necessary stock on hand, it causes friction. If a distributor isn’t telling an accurate picture of what the retailer needs, and routinely overorders, it can result in a loss of trust toward the retailer. This can be eliminated with a simple Scan-Based Trading solution such as iControl. Digitizing the process increases the access to data at each step of the process, which helps reduce the number of errors in distributor-based inventory management. While making a shift to a distributor-managed inventory system is intimidating, consider this: making the jump will reduce operating costs. Fewer order issues, such as those caused by bad data or emergency orders because of stock-outs, result in fewer returns of unnecessary inventory. There are also lower transportation costs, which all contribute to lower operating costs. When systems are well-organized, mobile B2B payments can be consolidated, further reducing transportation costs— as well as your overall environmental impact. When communication is on track, so is the relationship with your retailers. Distributors and retailers shouldn’t be adversaries, but instead, partners. The results of inventory that’s regularly delivered on time and in an appropriate quantity are beneficial to both parties. When you and your retailer make the decision to move to a distributor-managed inventory system, a Scan-Based Trading solution, such as iControl’s will breatly improve efficiency in your companies supply chain collaboration solution, working collaboratively will be critical when streamlining payment .